Our online staircase design service allows you to interact with a professional staircase designer whilst ordering your staircase. Our designers can offer far more flexibility than standard online design tools and can instantly give you the answers of what you can and can’t achieve with your new staircase design. To get a quotation and Plan - Identify the closest stair plan from our online library - choose a style from out staircase ideas and call 01952 608853 with your requirements. The Prices offered by our Online Staircase Designers are very competitive but prices can vary on a day to day basis due to constant changes in material costs as well as supply and demand. We have a widest selection of Material Options available from any mayor staircase manufacturer these range from our entry level Economy Staircase Specification to the Bespoke Staircases like the Townsend Staircase and Prescott Staircase. We also offer the widest selection of Stair Balustrade options available from simple Square newel posts and Balusters to contemporary Glass Balustrade systems. Make sure you get all the measurments ready before you ask a designer to start using the planner with you. 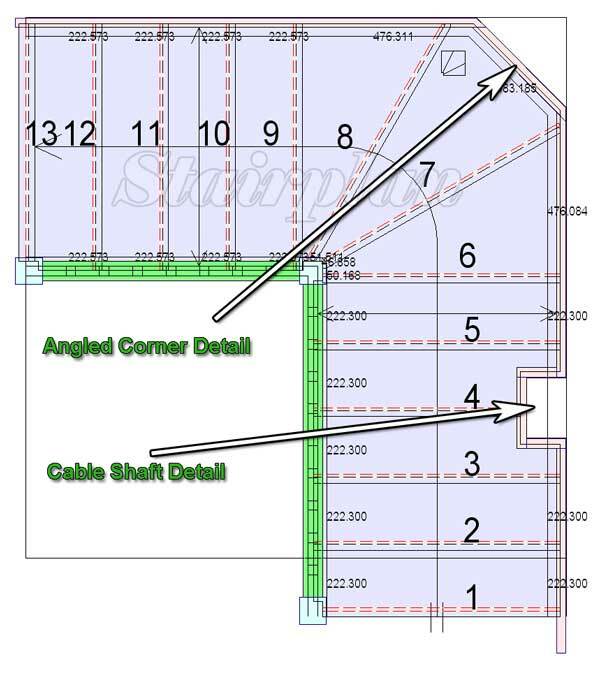 look on Measuring your staircases, Have a look at the Building Regulations. You can use our Online Library of Staircase designs or contact one of our staircase designers on 01952 608853 for a quotation on a staircase tailored to your dimensions. - We also have a number of standard staircase layouts that can be ordered online. 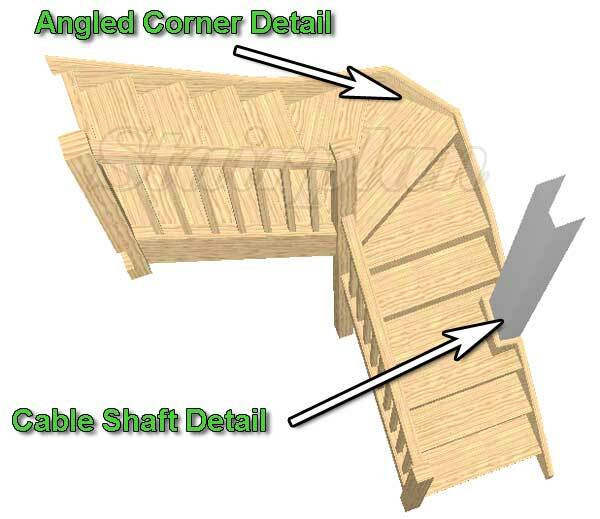 We can also offer the staircases to be constructed with angled corners or with allowances for Cable shafts, take a look at the images below for examples of how we can tailor your staircase layout. In our Staircase production we use the very latest in Staircase software and 5 Axis CNC technology. At Stairplan we specialise in Made to Measure Staircases. Who's making your new staircase ?